So, what do you get when you combine six crew members, a bathroom and the delightful Alan Fletcher? The first day of official filming for Shakespeare Republic! 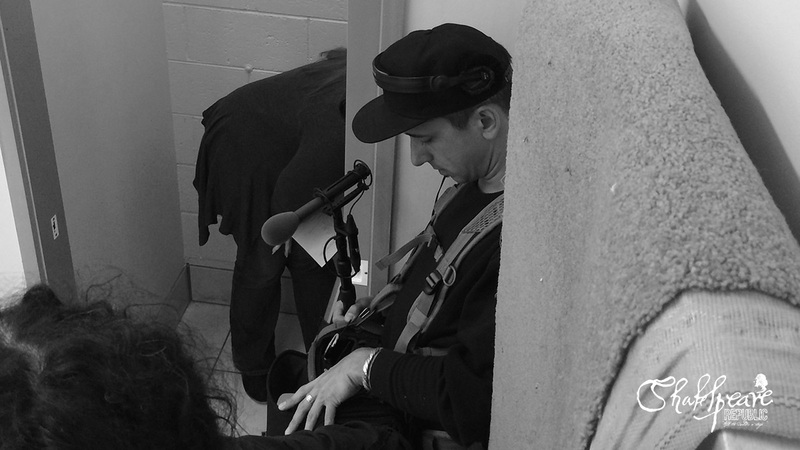 Our intrepid cast and crew made the journey out to Global Television Studios, who had very kindly provided us with the aforementioned bathroom to film, where we spent a very productive day filming Alan’s first Shakespeare piece. Huge thanks to Global for their generous support of the project and their assistance throughout the day, and to all the folk at Neighbours for accommodating us playing just up the hall. Also thanks to the fab team at Crankyfish for their loan of lights and equipment for the shoot. The support and generosity of so many people, including our cast and crew, is so very much appreciated by all the team! It was wonderful to finally get our teeth into filming some Shakespeare and Alan was an absolute trooper as we navigated the challenges of filming in a relatively small space (you don’t realise how small a room is until you cram it full of crew and equipment!). From doing a coffee run for everyone to sourcing additional materials to help us overcome a couple of unforeseen challenges on the day, Alan more than carried his fair share of the load! As Director, I felt so blessed to work with such a talented and dedicated bunch of creatives and my heartfelt thanks goes out to all of them. James Dene (Director of Photography), Dan Evans (Lighting Director/Gaffer), Tim McCormick (Sound Recordist), Ben Steel (1st AD/Behind The Scenes) and Billy Smedley (Assistant Producer) were a dream to work with, problem solving on the fly and moving quickly from set up to set up. And, of course, Alan himself as our lead on-screen talent, was a joy. I am so delighted, after knowing Alan for so many years, that we finally got to creatively collaborate in this way and I look forward to continuing this work as the project progresses. And now, the edit begins and pre-production for our next shoot commences. And yes, it’s another bathroom! (This is not a motif for the series, just the way the schedules aligned – we promise there will be other locations used!). Dr Karl is a star! So excited to see this! All the best from Poland! Powodzenia! 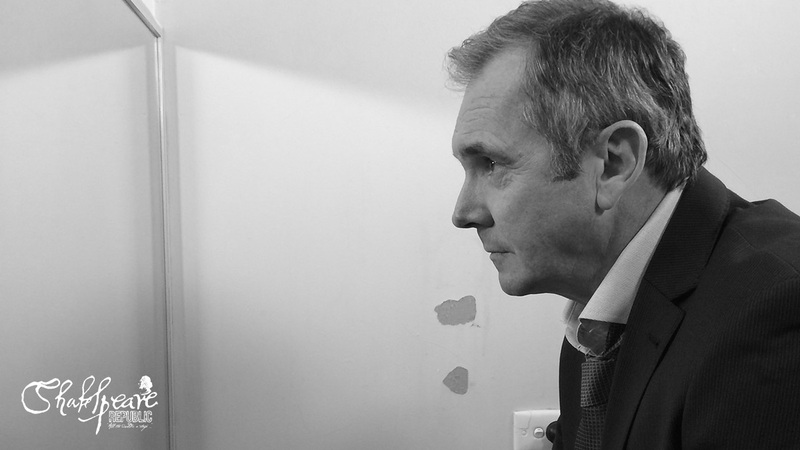 Posted On 25/05/2015 in Behind The Scenes, Project Updates with 2 Comments.Tagged: alan fletcher, cast, news, web series.